will invest RM130mil to expand its operations this and next year in view of the growing demand for its test equipment and systems. 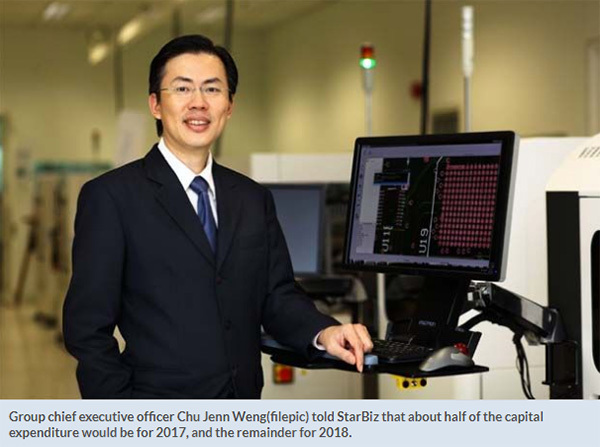 Group chief executive officer Chu Jenn Weng told StarBiz that about half of the capital expenditure would be for 2017, and the remainder for 2018. “The group has so far experienced nine consecutive quarters of growth since the first quarter of 2015. “We are optimistic about next year and if there is a need, we will increase the allocation for expansion in 2018,” he said. According to Chu, the important growth segments are the automotive and telecommunication infrastructure industries. Sales of global light vehicles are expected to reach 93.5 million this year, a growth of 1.5% over 2016, according to a IHS Market report. “The report expects China to continue to be the world’s largest car market for the foreseeable future, and has upgraded its 2017 China forecast to 28 million units,” Chu said. He added that the demand for data in the telecommunications industry is growing at an accelerated pace. According to the Cisco Visual Networking Index, global mobile data traffic grew 63% in 2016. The report said global mobile data traffic would increase seven-fold between 2016 and 2021, growing at a compounded annual growth rate of 47% from 2016 to 2021, reaching 49 exabytes per month by 2021. Meanwhile, research and advisory firm Gartner forecasts that 8.4 billion devices will be connected to the Internet by 2017, up 31% from 2016, and the figure will reach 20.4 billion by 2010. “The total spending on endpoints and services will hit almost US$2 trillion in 2017,” Chu said. In the first half of 2017, Vitrox shipped out 1,036 machine vision system products and 18 machine vision tray handlers. “We shipped out 106 units of advanced optical inspection and advanced x-ray inspection equipment for used in the electronic assembly industry,” he said. The equipment is used primarily in the automotive, telecommunication infrastructure, consumer electronics and medical industries. “Only 1% of our shipment goes to the smart device segment. 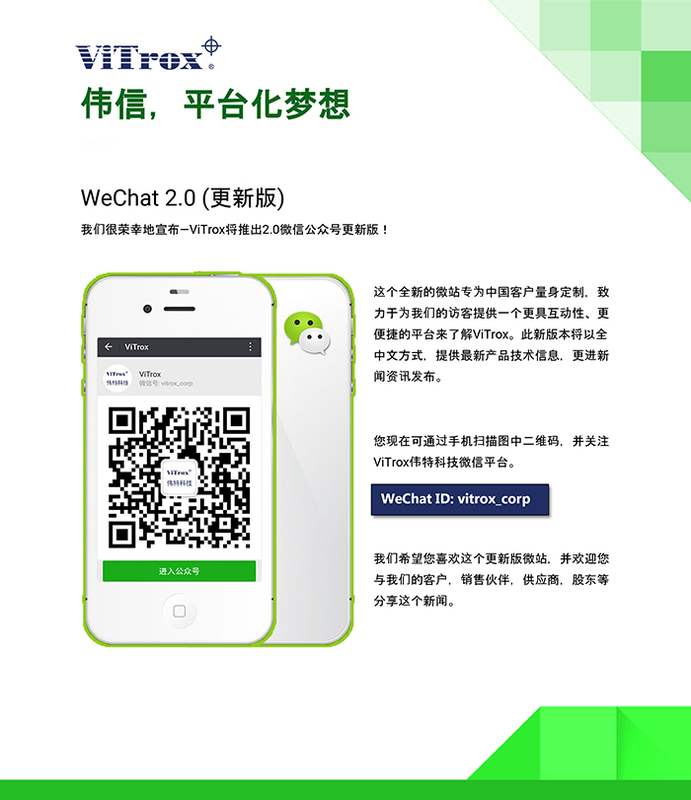 We are, therefore, not subjected to the volatility of sales in the smart device market. “The second half of 2017 should see double-digit growth for all the four sectors over the same period last year and also the first half of this year,” he said. According to Chu, the United States, Mexico and Brazil are Vitrox’s key markets, contributing about 25% of the group’s revenue. “Europe’s contribution is 5% while China, Taiwan, Japan, South Korea, India and the rest of the world generate the remainder,” he said.